3.9 out of 5 based on 47 bloggers and 6 commenters. 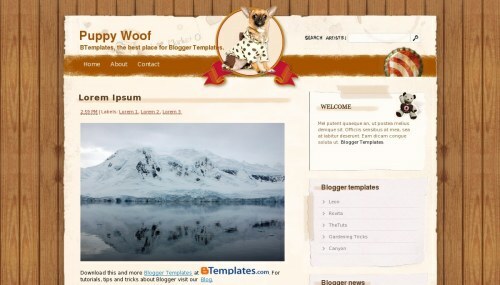 Puppy Woof is a free blogger template with 2 columns, right sidebar, cute design and vintage style. Excellent template for blogs about animals or love. Que layout lindo! Seria uma pena se alguém colocasse um cachorro no meio dele. this is a very usefull site.